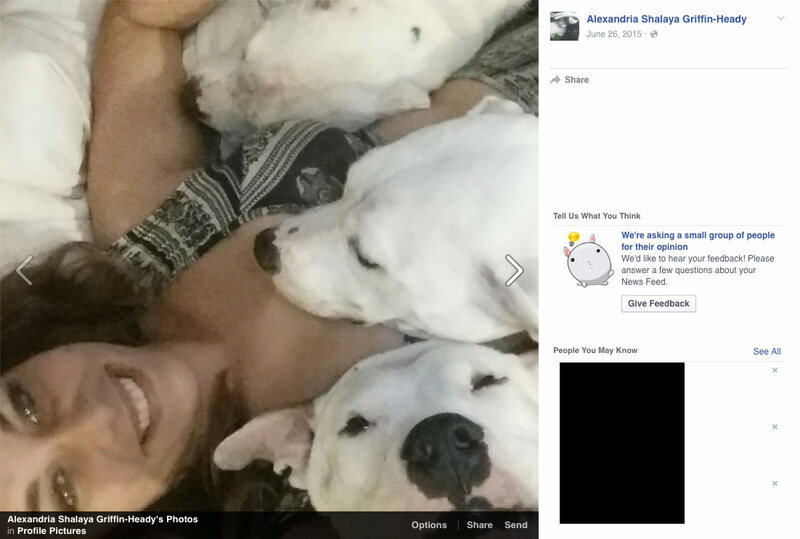 Photographs of six fatally attacking dogs in 2015 obtained from multiple sources. DogsBite.org - In 2013, we began the tradition of publishing breed identification photographs of fatally attacking dogs when available through news reports, law enforcement or social media websites. 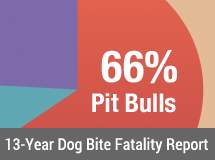 Of the 35 total recorded deaths last year, 16 fatalities, 46%, had breed identification photographs, down from 57% last year.1 Predictably, the majority of the images depict pit bulls, pit bull-mixes and their close relatives, along with the second top killing dog breed, rottweilers. Of all dog bite fatalities with identification photographs, 44% (7) were captured by news media, 38% (6) were supplied by animal control or sheriff's departments and 44% (7) were located on social media pages of the dog's owner or family members. Four attacks also had images in two categories. 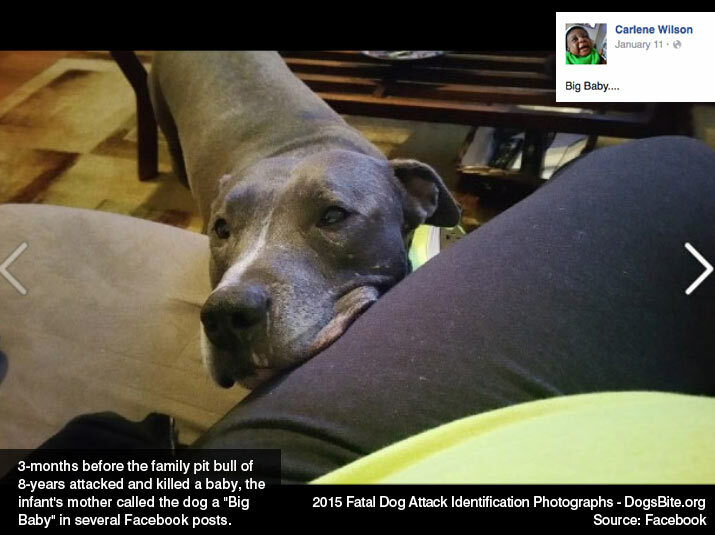 The most powerful images came from social media and included a mother calling her pit bull a "Big Baby," a victim and her pit bull and a pit bull dubbed "The beast" doing bite work. The identification photographs are a supplement to the extreme number of multi-sourced news reports that we collect for each fatal dog attack victim and are listed on our Dog Bite Fatality Citations pages. Though we are still collecting news reports for 2015 -- there will be criminal trials, autopsy report information and more -- so far we have collected over 615 citations for 35 victims. We invite you to glance over the 2015 Dog Bite Fatality Citations page to review its length. Though images obtained from social media in 2015 did not increase from last year, several of them carried significant impact on social media. The image of 25-year old Nicole Cartee sitting with her family pit bull of 10-years, which later killed her, captured the public's attention. This past week, after 9-year old Tyler Trammell-Huston was killed by his older sister's three pet pit bulls, the Facebook images of his sister snuggling with her pit bulls went viral on Facebook as well. In 2015, three cases would have had the wrong breed identification or no breed attribution had it not been for social media and our investigative research: the deaths of Malaki Mildward, Lamarkus Hicks and Barbara McCormick. In two of these cases, both children, we were also able to track the lineage of the fatally attacking dogs to their sire and dam. We first accomplished this in 2014, after the death of Mia DeRouen, using the dog owner's Instagram account and a pedigree website. More photos of varying sizes are often available at the indicated full blog post link for each victim. Declan Moss, 18-months old, was killed by two family pit bull-mixes while under the care of his grandfather in Brooksville, Florida on January 19, 2015. His grandfather, who owned the animals, witnessed the attack, but was unable to stop it. See: Summary | Full blog post | Malaki Mildward, 7-years old, was killed by two 8 or 9-month old pit bull-mixes while playing in his yard in College Springs, Iowa on January 22, 2015. The dam had previously bitten a 10-year old boy; the fatal attackers came from her litter. See: Summary | Full blog post | Roy Higgenbotham Jr., 62-years old, bled to death after being badly attacked by his roommate's pit bull in Wheeling, West Virginia on March 8, 2015. A woman in the home witnessed the attack and fled out a window in fear of the attacking dog. 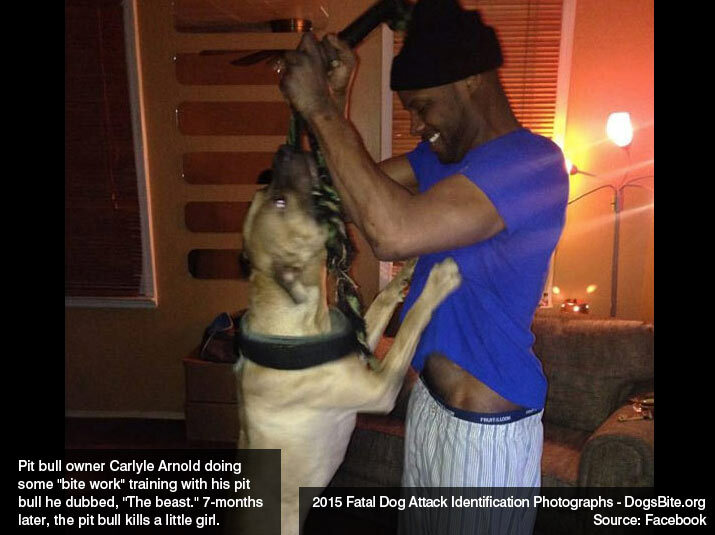 De'Trick Johnson, 36-years old, was horrifically killed by a pack of pit bulls owned by John Chester Smith in Jefferson County, Arkansas on March 21, 2015. 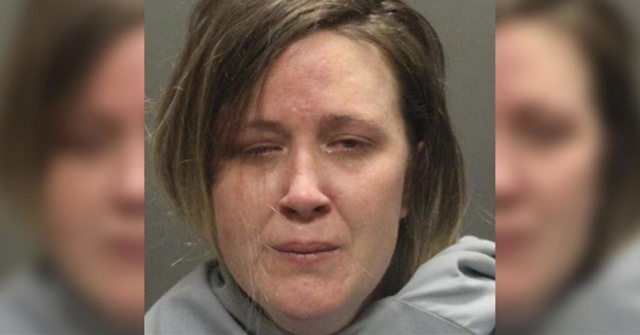 Smith was later charged with felony manslaughter in connection to Johnson's death. See: Summary | Full blog post | Kenneth Ford, 79-years old, was brutally attacked by three pit bulls on March 13 in Pahrump, Nevada. The dogs seriously injured two men who intervened and kept attacking after being shot. Ford died of his extensive injuries April 14. Brayden Wilson, 10-weeks old, was savagely attacked and killed by his family's pit bull of 8-years in the Red Bird area of Dallas, Texas on April 19, 2015. Afterward, a local columnist shined a light on the deceptive propaganda about the breed. 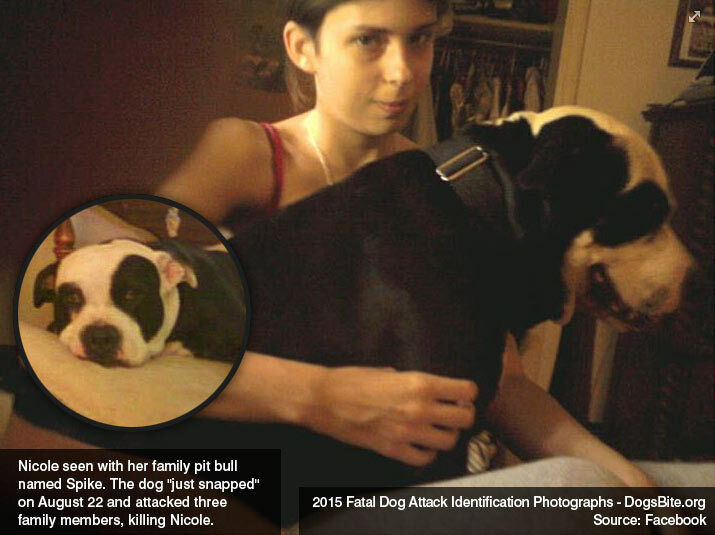 Nicole Cartee, 25-years old, was brutally killed by her family pit bull of 10-years in Spartanburg, South Carolina on August 22, 2015. The dog, named Spike, "just snapped" on that day, attacking three family members and killing Nicole. Barbara McCormick, 65-years old, was killed by up to three family dogs at her home in Autauga County, Alabama on September 4, 2015. 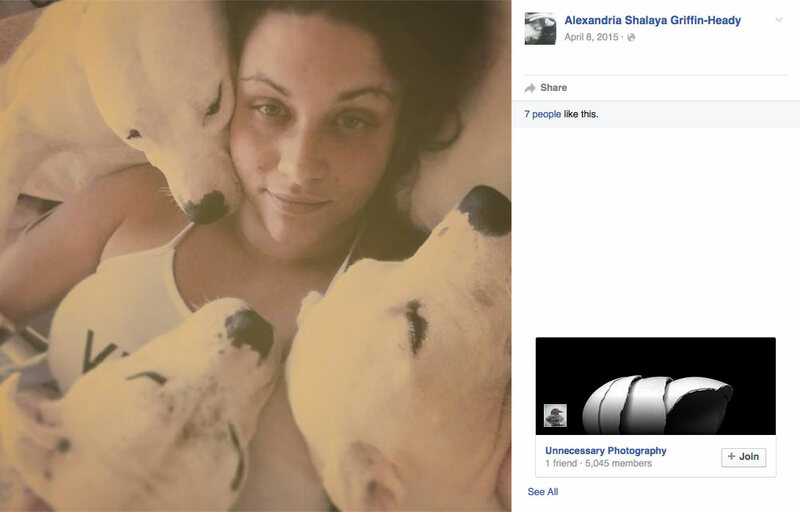 After her death, her son posted images of the dogs to Facebook saying, "I just don't understand." Emilio Rios Sr., 65-years old, was savagely killed by two stray pit bull-mixes in North Shore, California on September 8, 2015. The dogs also viciously attacked a woman who came to his aid. 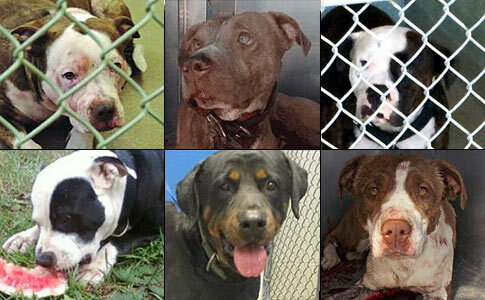 The attacks reignited the pit bull legislation debate. 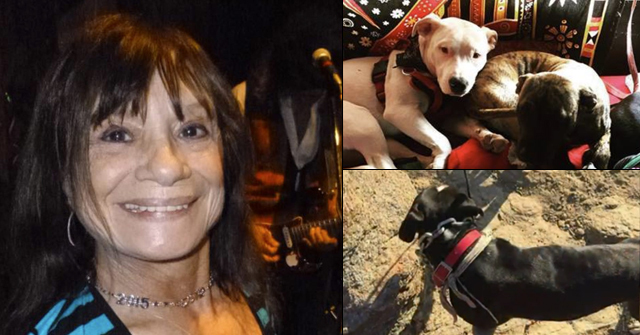 See: Summary | Full blog post | Carmen Reigada, 91-years old, was savagely killed by up to three family dogs in her Miami-Dade County home on September 22, 2015. An American bulldog-mix, Rhodesian ridgeback-mix and lab-shepherd mix were seized from her home. See: Summary | Full blog post | Lamarkus Hicks, 2-years old, was killed by a chained dog in Kearneysville, West Virginia on September 28, 2015. 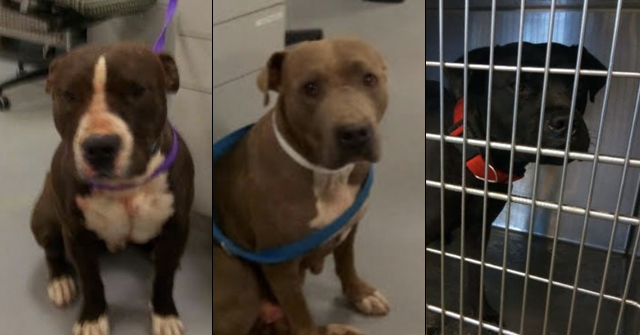 County authorities mistakenly labeled the dog a "boxer-mix," despite its two owners being longtime backyard pit bull breeders. See: Summary | Full blog post | Anthony Riggs, 57-years old, was killed by a rottweiler he adopted three hours earlier from Jackson-Madison County Rabies Control on November 12, 2015. The county agency has no evaluation or temperament testing policy or procedure. 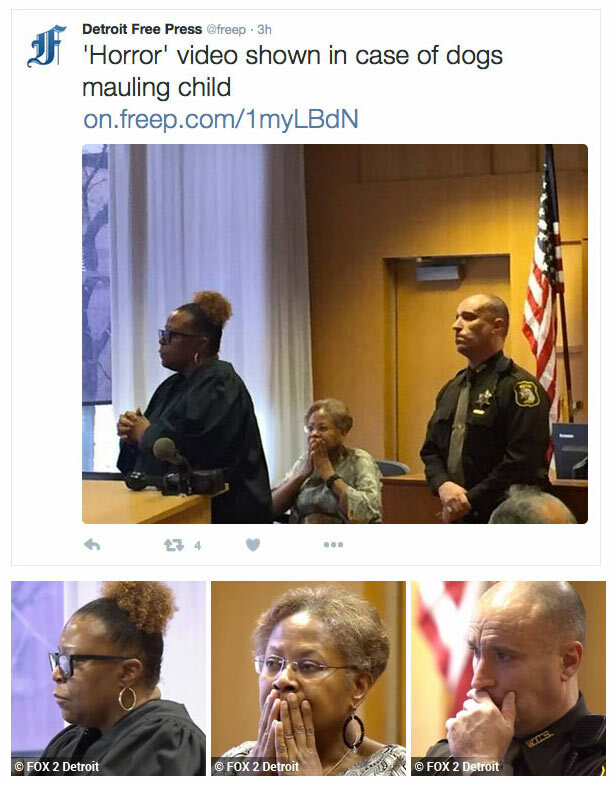 Xavier Strickland, 4-years old, was murdered by four pit bulls while walking with his mother on a sidewalk in Detroit on December 2, 2015. The attack was captured on the dog owner's surveillance cameras and dubbed, "16 minutes of horror." Rebecca Hardy, 22-years old, was killed by a pit bull on December 3, 2015 in Port Huron. Her death was ruled "suicide" by Oakland County Medical Examiner Ljubisa Dragovic. A video shows the dog being led to an animal control truck. See: Summary | Full blog post | Nyjah Espinosa, 1-year old, was killed by her father's American bulldog-mix while visiting his Miami-Dade home on December 20, 2015. The designation rekindled the debate about animal services' constant "breed labeling game." Breed identification photographs discovered after the publication of this post on January 14, 2016. These photographs are not included in our overall analysis; they were unavailable at that time. See: Summary | Full blog post | James Nevils III, 5-years old, was brutally attacked and killed by his cousin's pit bull on March 25 in Chicago, Illinois. Two teenagers beat the dog with bricks, another man stabbed the dog with a knife until the knife broke, but it was too late. 1Of the 35 total recorded deaths in 2015, two cases are still pending -- awaiting lab results. The deaths of Werner Vogt, 85-years old of Christian County, Missouri and Maria Torres, 57-years old of Gridley, California. 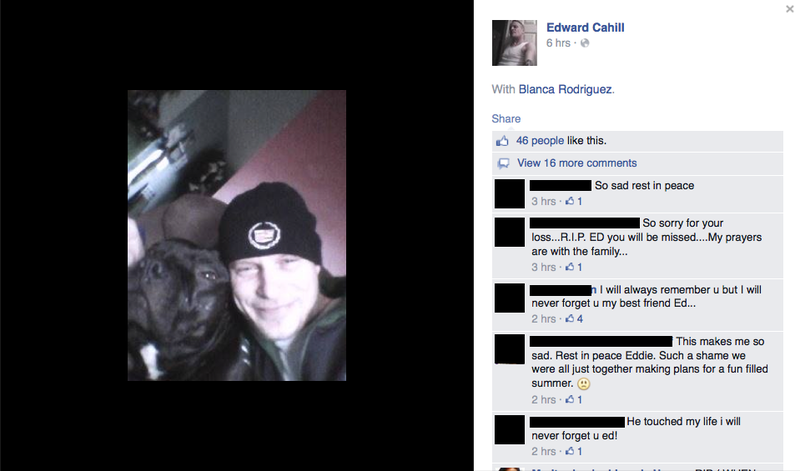 2After a pet pit bull of 8-years killed its owner on Christmas Day in 2014 in Portage, Indiana, the image of 40-year old Edward Cahill posing with his pit bull also went viral on social media. Cahill's mauling death by his family pit bull was "so clear cut," the coroner declined to do an autopsy. "There’s no reason for me to spend $2,500 of the taxpayers’ money on something so obvious," Porter County Coroner Chuck Harris told reporters. This is why I prefer the collective term "bully breeds". The second you try to call someone's "pit-type dog" a pit, they just start playing the name game and saying "My dog isn't a pit bull, he's an American Bulldog" or "She's an American Bully"(Even though we all know the former example is literally another name for pit bull while the latter is just a bigger pit bull). If you say bully breed, they can't play the name game because it doesn't work. Bully breed encompass the entire group of those monsters. People can say "No one can identify a pit bull" (which is a lie in itself), but no one can say "No one can identity a bully breed" because that's even less true and more ridiculous. The most accurate term is molosser dogs.